The start page and hub of Shakespeare's The Tempest for iPad is the honeycomb. Pros: Commentaries are insightful, easy to read and really can help students better understand Shakespeare. Cons: It would be nice to have an in-text glossary available for some of those tricky Shakespearean words. 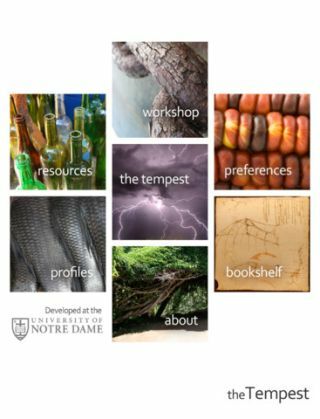 Bottom Line: Shakespeare's The Tempest for iPad packs a college-level course into an affordable iPad app.